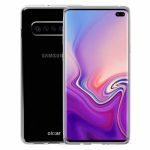 Samsung Galaxy S10	No ratings yet. Samsung Galaxy S10 Plus	No ratings yet. Oppo Find X	No ratings yet. OnePlus 5T	No ratings yet. OnePlus 6	No ratings yet. LG G6	No ratings yet. LG Q8	No ratings yet. Samsung Galaxy A8 Plus 2018	No ratings yet. Realme 2 Pro	No ratings yet. LG V30	No ratings yet. Vivo Y75	No ratings yet. Oppo F5 6GB	No ratings yet. Oppo F3 Plus	No ratings yet. Oppo F9	No ratings yet. Vivo V11	No ratings yet. LG X venture	No ratings yet. Nokia 8	No ratings yet. Nokia 6.1 Plus	No ratings yet. Oppo F7	No ratings yet.